When Becky Perez lost her black Labrador, Chili, the search became complicated. 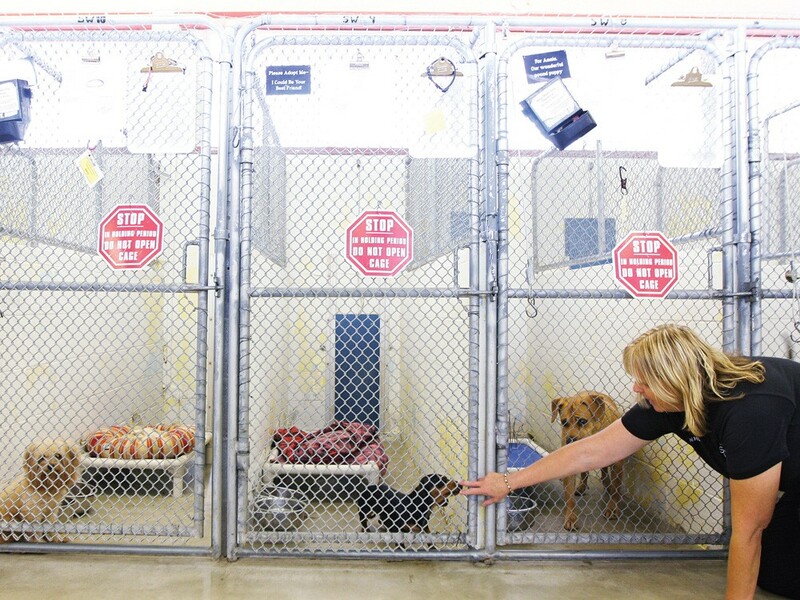 The Spokane region doesn’t have just one place that takes care of lost puppies — it has multiple agencies, differing ordinances and a slew of licensing fees. “I probably called four different phone numbers,” says Perez, including SpokAnimal, the Spokane County Regional Animal Protection Service (SCRAPS), and the Spokane Humane Society. Many pet owners go through the same confusion when they lose their pets. But all that could change if voters approve a countywide property tax levy for a new regional animal control facility in November. For years, the city and county have been debating whether to place animal control under one countywide umbrella. Monday night, by a 6-1 vote, the City Council took a step to make that a reality, siding with the mayor’s plan to give SCRAPS the responsibility for animal control throughout the region. The mayor put her support behind the county’s levy proposal, which was approved two weeks ago, after the county agreed not to raise the city’s share of animal control costs. It’s just one recent step toward regional governmental collaboration. While many larger cities in the Pacific Northwest already have “umbrellas” to provide regional services — Portland’s Metro, which takes care of the region’s transportation and waste issues, is one example — Spokane is still struggling with getting elected officials on the same page. There has been one local bright spot for cooperation, though. For two decades, the city and county collaborated to run the Wasteto-Energy plant. But due to recent events, even that partnership appears to be falling apart. The idea of SCRAPS taking over animal control for the region is not new. It cropped up in 2007, when city animal control contractor SpokAnimal announced it wanted to get out of the animal control business. Funds from the city were not covering their costs, says Spok- Animal Director Gail Mackie. SCRAPS agreed to step in, but it needed a much larger, newer building. In February 2010, the City of Spokane purchased a large facility on the corner of Havana Street and Broadway Avenue as part of its rehabilitation of Havana Street. The building was perfect for animal control, says SCRAPS Director Nancy Hill. It’s centrally located, and it’s one-third cheaper than building a new structure. But, uncertain what dogcatcher it would use, the city wasn’t ready to sell the property. “We got it all the way to the one-yard line, and the city would not commit to the solution,” says Spokane County Commissioner Mark Richard. Verner didn’t want city taxpayers to pay “more than what we’re currently paying.” The mayor finally gave her support to the plan after the city and county agreed that the city would pay $561,000 a year (plus inflation) to SCRAPS for nine years of animal control — the same it pays SpokAnimal but considerably less than the $753,000 that SCRAPS estimates the city should be paying. When the City Council was asked to side with the mayor’s plan for collaboration, most — except for SpokAnimal advocate Councilman Bob Apple — strongly supported it, primarily for reasons of collaboration. “I think there’s a leap of faith we need to take to make any cooperation work,” Councilman Jon Snyder said at Monday’s meeting. Along with Councilman Steve Corker, Snyder says that letting the county take the lead on the issue may set a precedent for future collaboration. “Animals know no boundaries,” says County Commissioner Todd Mielke. But City Councilman Richard Rush says there’s another issue out there: the dump. While the county is asking the city to cooperate over animal control, Rush says, it’s considering moving away from a long-term agreement over garbage disposal. “I wish we could find from this some reciprocity for regionalization of services,” Rush says. Most of Spokane County’s garbage is trucked in to the Waste-to-Energy plant, near the Spokane International Airport, where it’s burned up and converted to ash and energy. Yet as the bond for the facility is about to be paid off this winter, the current system of regional collaboration is collapsing, and a new alliance poses a danger of stranding the city with a plant that does considerably less business. Back in 1987, the city and county signed an agreement regarding the Spokane Regional Waste-to-Energy facility: The city ran the plant, and the county was able to veto rate hikes. Other municipalities — like Spokane Valley and Liberty Lake — signed on. The financial consequences were considerable. The county perpetually vetoed proposed rate increases. Rates have been stuck at $98 a ton for 10 years, and at $97 for five years before that. One thing everyone agrees about: The current system is flawed. But the debate over a new system has strained the long partnership between city and county. In January, the mayor asked to delay a Solid Waste Summit to discuss a new system — there was too much contention, she said, and not enough mutual understanding. The summit happened anyway. It involved Spokane, Spokane County, Spokane Valley and other smaller municipalities, and it catalyzed a new arrangement: The city would gain full control of the Waste-to-Energy plant — allowing it to set its own rates — and would allow the county and other municipalities to eventually shop elsewhere. Already, Commissioner Mielke says, there’s been discussion of trucking the county’s trash down to Klickitat County, where rates are a paltry $24 a ton. City Deputy Public Works Director Gerry Gemmill, however, argues that Spokane’s rates are very competitive when state-mandated recycling and education programs are taken into account. But even if Spokane can compete, Mielke says, the county still may want to diversify by trucking some of its waste to a landfill. In June, meanwhile, local municipalities were asked to decide, by Oct. 3, if they wanted to be part of an alliance to decide how solid waste is to be managed in the county. Every municipality in the region has been offered a chance to be in the alliance, but many — like Spokane Valley — haven’t committed yet. Menke says the city is not ready to join an alliance that might vote against using the city’s waste plant. With the Waste-to-Energy partnership on the shoals, and the animal-control project just setting sail, the future of governmental collaboration remains unclear. Other debates about regional cooperation — over the jail, police and firefighters, annexation, the health district, and regional transportation — will surely follow. “It sounds really simple that the two parties can get together,” Verner says. But then you start to unearth old contracts and commitments, and turf wars and politics get involved, and nothing is simple anymore.